Arm pain and injuries are extremely common. Arm pain can occur as a result of sports injuries, work injuries or simply everyday arm use. An accurate diagnosis is vital to the correct management of your arm pain. 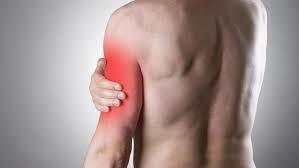 Arm pain can be caused by local muscle, tendon or joint injury. It’s similar to sciatica of the upper limb. This is sometimes referred to as brachialgia. The most common sources of arm pain include: shoulder pain, wrist pain and elbow pain. However, neck pain is also a very common source of referred pain that needs to be assessed and managed by a health professional who is an expert in the assessment and treatment of neck-arm pain. This is sometimes referred to as brachialgia. Arm pain and injury respond favourably to physiotherapy intervention when early treatment is sought. Please do not delay in consulting your physiotherapist if you experience arm pain. Many arm conditions such as tennis elbow or frozen shoulder can take many months or even years to heal when the diagnosis is incorrect or treatment is neglected early. What Causes Common Arm Injuries? Arm pain is defined as discomfort or pain experienced anywhere throughout the arm, and it can include pain in the wrist, elbow, and shoulder. Arm pain can occur due to a variety of different causes. The most common causes are injury or overuse. Depending on the cause, the pain may start suddenly and go away or it may increase gradually.